Directed by Dona Roman, professor of theatre, with musical direction by Andrew Algeria, assistant professor of music, Jeffery Meyer, assistant professor of music, and Karrin Ford, associate professor of music, Hair tells the story of the “tribe,” a group of politically active, long-haired hippies living in the “Age of Aquarius” in New York City and fighting against conscription into the Vietnam War. With a book and lyrics by Gerome Ragni and James Rado, and music by Galt MacDermot, Hair opened on Broadway in 1967, reflecting the hippie counterculture and sexual revolution of the late 1960s. Featuring hit songs like Aquarius, Let the Sunshine In, Hair, and Easy to be Hard, the musical’s eclectic score produced several anthems of the anti-Vietnam-War peace movement. This exuberant musical about a group of teenagers searching for truth, peace, and love in a time of political and social conflict continues to resonate with audiences of all ages more than five decades after opening night. Hair will run for three weekends, opening on Friday, April 5 and playing through Saturday, April 20. Curtain times are 8:15 p.m. on Fridays and Saturdays and 2:00 p.m. on Sundays. Performances will take place at Marshall Auditorium inside SRSU’s Morelock Academic Building in Alpine. The musical contains profanity and adult content. The theatre program at Sul Ross is guided by the philosophy that students will graduate with a university - level understanding of theatrical production. It is driven by a passionate team of professors and students who create an inviting and engaging environment for learning the craft. Sul Ross offers a Bachelor of Fine Arts Degree in Theatre and a Minor in Theatre. Even if they've never set foot on a stage before, students are welcomed and immersed in all aspects of theatre, everything from writing plays to directing to the many details of production and even the promotion surrounding the performance. Their skills are finely tuned and they are offered opportunities that wouldn't be as accessible at many other schools' programs. Sul Ross puts on a number of productions throughout the year with four key areas in mind: playwriting, musical theatre, bilingual theatre, and children's theatre. Students learn the art of playwriting and take on the process of developing original works from script to stage. 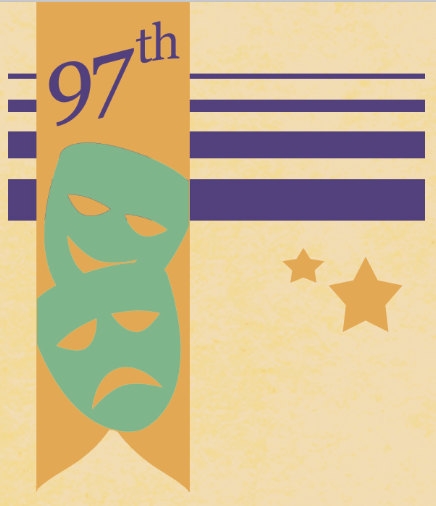 Sul Ross Theatre also teaches the value of working across programs to produce musical theatre and expanding a student's repertoire to the particulars of children's theatre. The emerging Latino Theatre Program has brought a national focus to Sul Ross. Recently, the Sul Ross original production of Moises: A Modern-Day Tragedy by resident playwright, Liz Coronado Castillo, was invited to perform at the Region VI Kennedy Center American College Theatre Festival in San Angelo, TX. 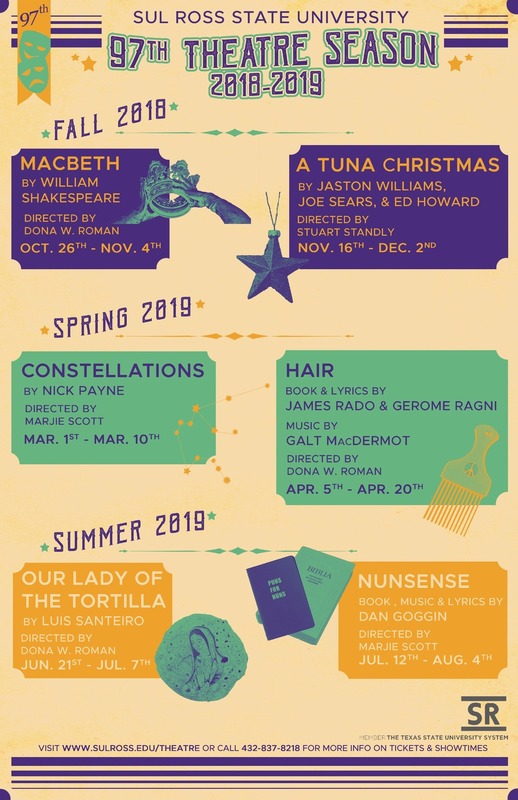 Off Campus, the program is also very involved with the local community of Alpine, Texas and produces the Theatre of the Big Bend, a series of outdoor repertory performances through the summer against the beautiful backdrop of Far West Texas.